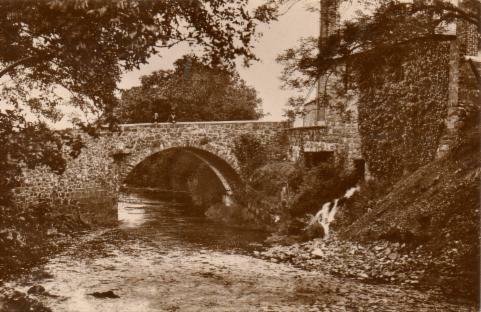 'AULD WHEEL', at Lincuan Bridge, providing power, using water diverted from Thomas's Dam to Tarff Woollen Mill (chimney in background). 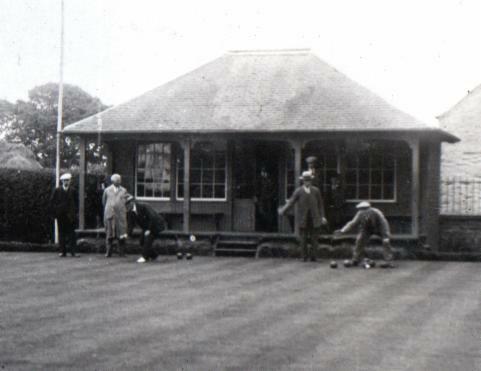 Date not known but note the elderly gentleman with the beard and young man with the cap which perhaps suggests early 1900s. Can anyone identify the two in the photo? Can you add any more names ? can anyone provide any other names ? 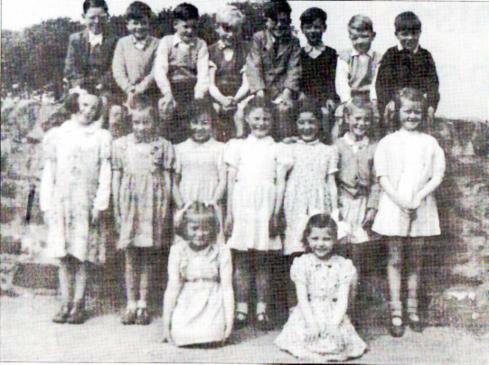 Standing L-R Nan Templeton, Peter McCornick, Mary Irvine, Jack Donald, William Cannon, Alex McGeoch, Gilbert McKie, Gavin Donald, R Cannon, Peter McCormick, Molly Love, Matt Barrie. 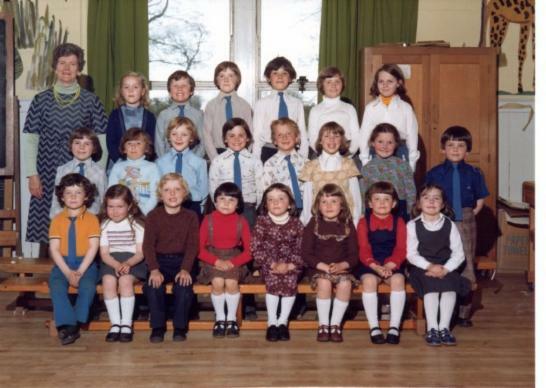 Back Row 3rd from left ...Rennie? 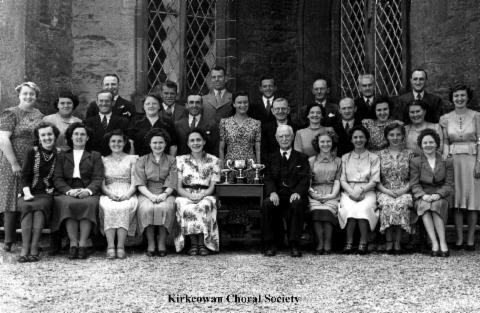 Front Row (standing left Sheila Dickson ? 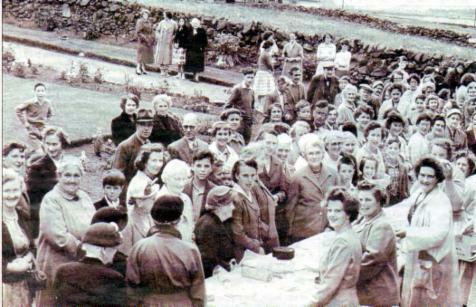 L to R (whole photo) David Rae?, Tom Christie, Muriel McGoth, David Boyd, John Cathcart, not known, not known, Ruth Love, Robert Stewart, Mrs Tolland (wife of Rev Hugh Tolland), Fiona Munro, Nancy Dickson, Malcolm McCutcheon, Netta Ferries, Margaret McGoth, not known, Lindsay Tolland (Joseph), not known, Beatrice Drysdale, Margaret Gemmell/Young, Margaret Griffin, Maureen Griffin (Mary), not known, Erica Watson, not known, Elsie Kirk?, George Adams, not known, Lavinia McCutcheon, Billy McKie, McKie?, John McCutcheon, John McKie, Lena Brown, Willie McCall, not known, George McCutcheon? 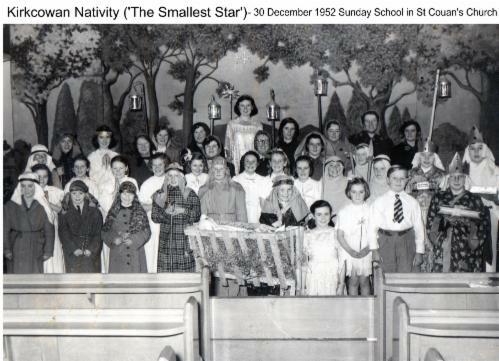 Kirkcowan Nativity - either year before or after the 'Smallest Star'. 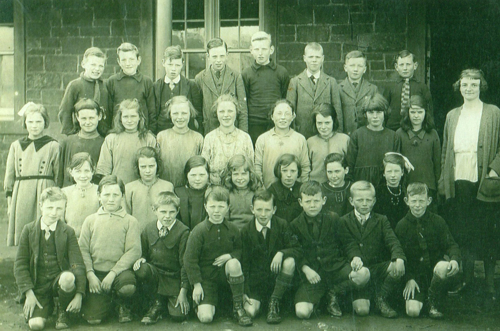 L to R (whole photo) : Muriel McGoth, Mary McKie , Billy McKie, Lavinia McCutcheon, Malcolm McCutcheon, Peggy Crozier, John McCutcheon, Ruth Love, not known, John Cathcart, George Adams, 'Joseph' - ? 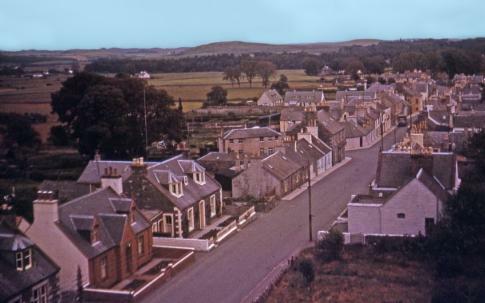 , Maureen Griffin, Beatrice Drysdale, Sheena Blacklaws, 'Mary' is Margaret Griffin, not known, Nan McMaster, Erica Watson, Margaret McGoth, Fiona Munro, John McKie, not known, Mary McCall, Robert Stewart, Willie McCall, Elsie Kirk, Netta Ferries, not known. 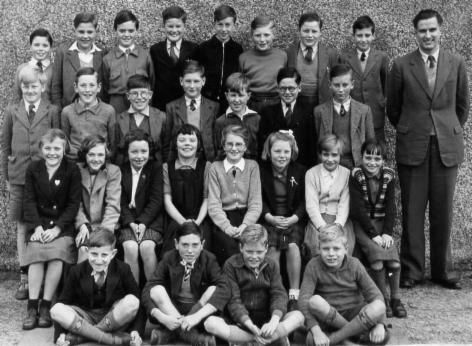 Standing L to R: first 4 not known, Sander Crozier, not known, Marion Crozier, Mrs Tom Murray, not known, Lizzie McKie, Jim Crozier, Billy McKie, John Hanlon, Tom Christie, Robert Dickson, not known, Joe Wright, Leslie Drysdale. 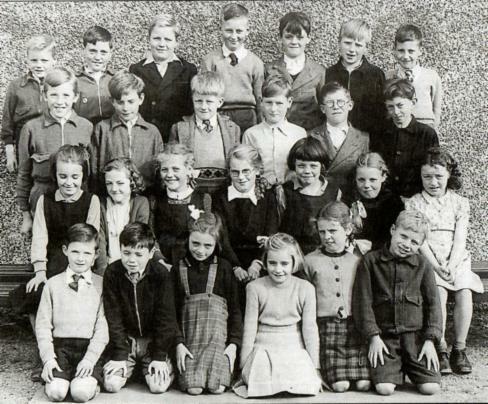 Front: 3rd from left David Murray in front of his aunt. 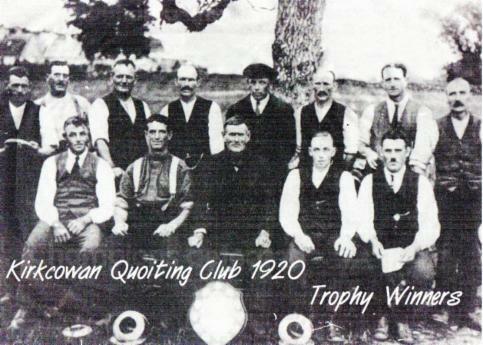 Front: J Bell (Club President), T Campbell, T McKie (Team Captain),J Cloy, H McWilliam. 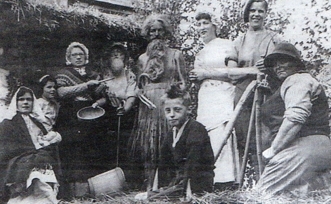 William Hutchison is back row second from the right, At the time William lived at Barmore Farm. Does anybody know any other names ? 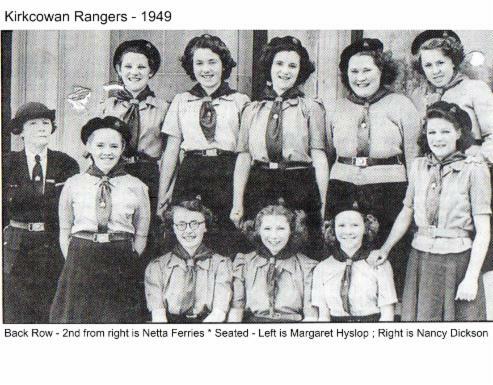 Seated on bench 3rd from left Molly Armstrong (became Parker), 2nd from right on same bench Annie Simpson (became Clanachan). 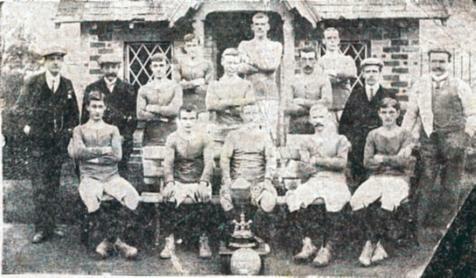 Front: 2nd from left is Russell Moreland and extreme right is possible John McCutcheon. 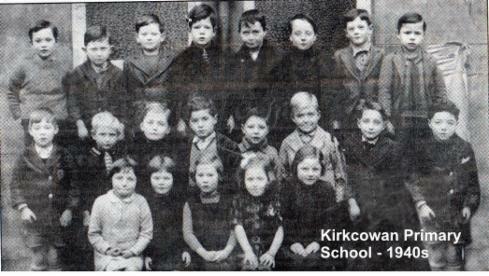 KIRKCOWAN PRIMARY SCHOOL - date not known - any ideas (1930s ?). Following names provided by Margaret (thank you). 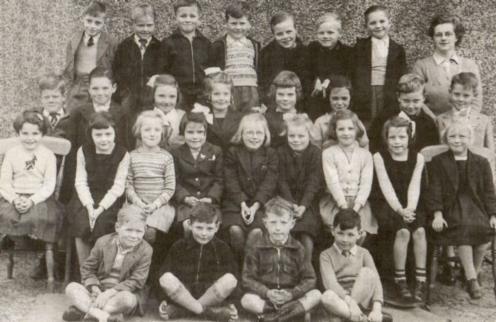 Second Row L to R: David Thomson, Not known, Mamie Copeland, Tina Hamilton, Nancy Sproat, Nancy McCormick, Betty Hanlon, John Gordon, Jim King. 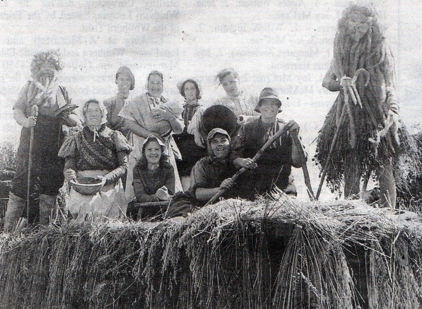 Front Row : Walter Stewart (twin of Agnes Stewart in third row. Still a few names missing - any clues? 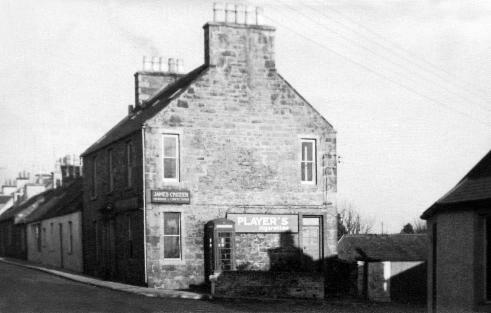 Back: Hutton Hyslop, Wallace Riddell, John McQuaker, Bob Burnie, John Patterson, John Rennie, Billy Topping. 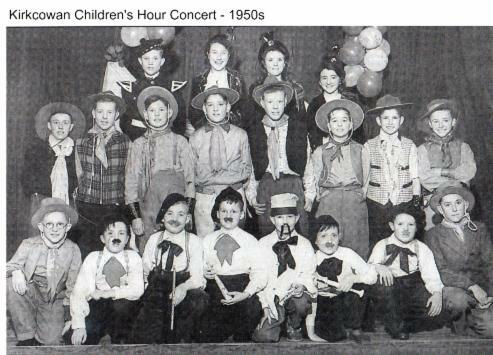 Front: Sandy Stewart, Henry Curran, Willie McAuley, Jim Montgomery, Percy Smithers, Willie McGeoch, ? 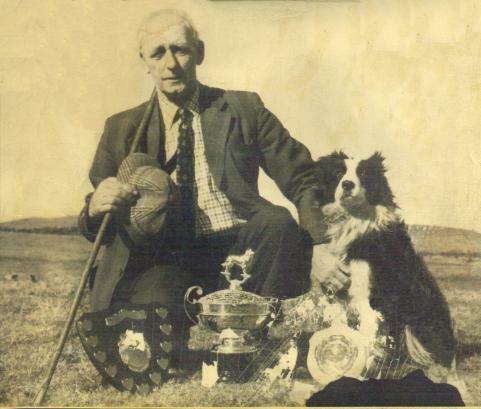 ?, Tom McKie, Bobby Cloy, Donald Marshall jnr. 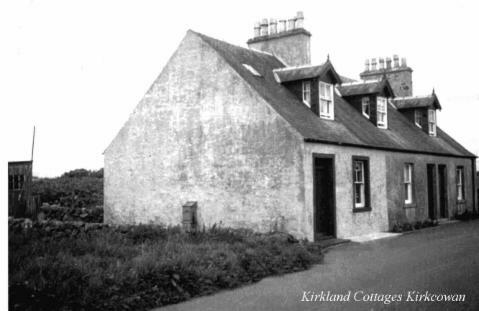 Back: John McCutcheon, George Adams, John McKie, David Rae, David McCallum, Tom Anderson, Bob Crozier. 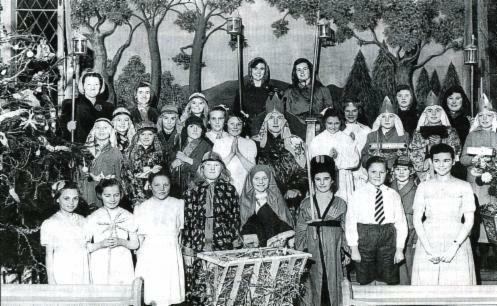 3rd Row: Tom McMillan, Not Known, Robert Cannon, Lindsay Tolland, Robert McGeoch, Jim McKie. 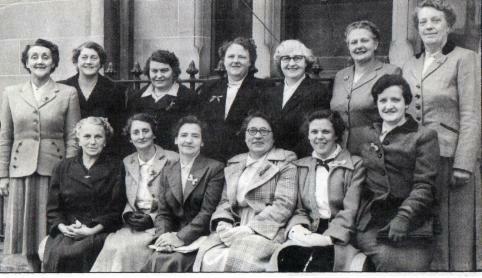 2nd Row: Erica Watson, Molly Rogers, Margaret Griffin, Berta Twiname, Sheena Christie, Ruth Love, Margaret Donnelly. 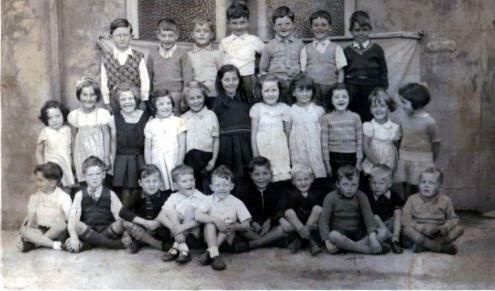 Front: Bob Stewart, John Cathcart, Muriel McGoth, Lavinia McCutcheon, Not Known, Jim Wright. 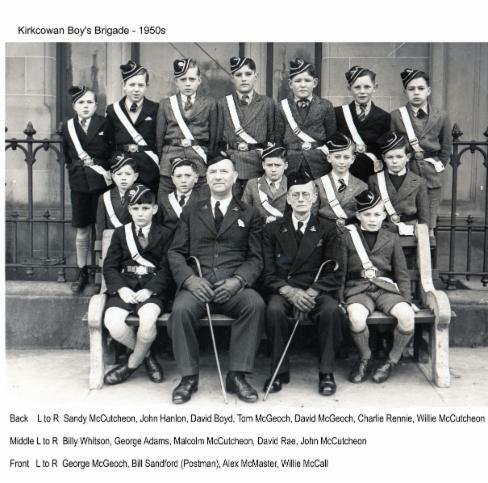 Back: John Cathcart, Willie Benson, David McCallum, Andrew Paterson, Jim McKie, Tom Anderson, John McKie, Bob Crozier, Teacher: Neil McDonald. 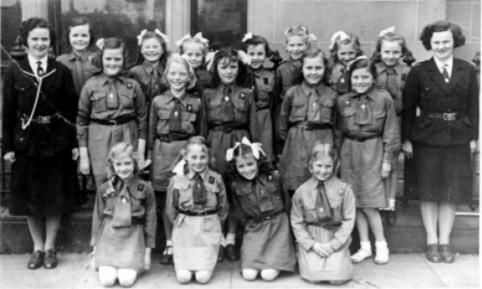 2nd Row: Margaret Griifin, Molly Rodgers, Margaret Donnelly, Sheena Christie, Berta Twiname, Ruth Love, Lavinia McCutcheon, Muriel McGoth. Front Row: Jimmy Gardiner, George Adams, John McCutcheon, Jim Wright. 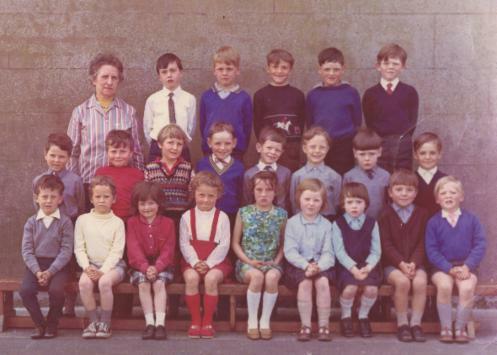 Front Row: R Love, B Reid, Tommy Donnelly, D McCorrie. 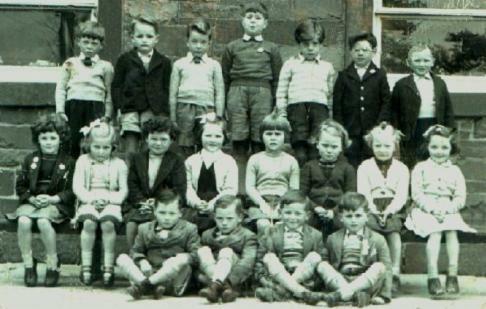 Back Row: Lesley Drysdale, Robert Watson, Colin Donnan, not known, not known, Victor McMillan, Sandy Clanachan. *** Jane Howe went on to appear as Dirty Den's 'posh' mistress in Eastenders amongst other acting roles -also more recently as a patient in Holby City. 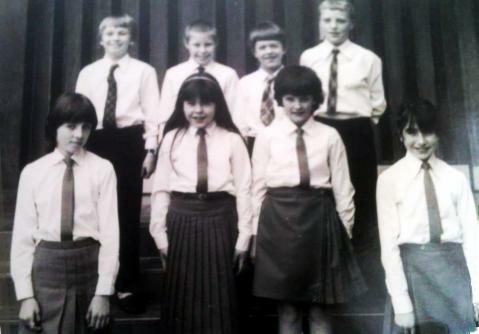 Back Row: Mrs Crozier, Gary McKie, Robert Alexander, Charlie Marshall, David Armstrong, Charles Landers. 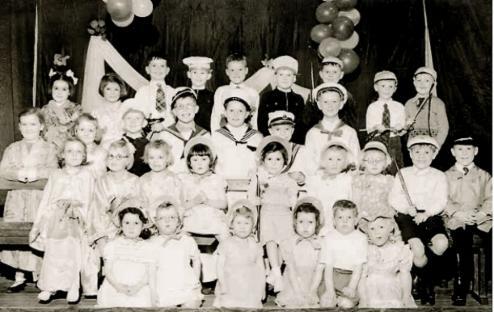 Front Row: Robert McGaw, Rudy Bleau, Irene Young, Jennifer Lowrie, Jennifer King, Heather Cronie, Elizabeth McGaw, Not known, Robert Irvine. 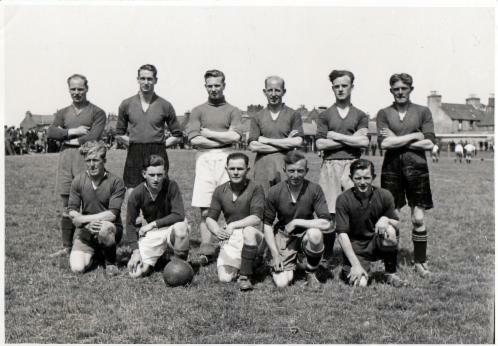 Middle: ?, ?, Calum Kerr, Mark Paterson, ?, ?, ?, ? 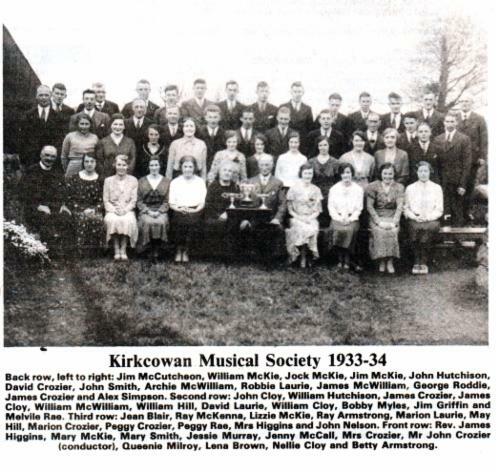 Front: Gavin McLeary, Nicola Hanlon Kingery, Allan Wright, Margaret Cassie, ?, Sylvia McIlwriath,?, Andrea Galloway - also in the photo Neil Bain, John Rennie, William McKie, Marion Allison and Murray Harris (thank you Neil). 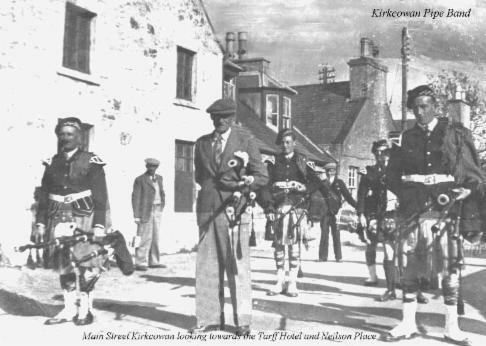 L to R : Samuel Stewart (Pipe Major) David Wright snr, not known, Willie McAuley, not known, Bob McCutcheon, Mary McAuley (just visible), Jimmy Smith. 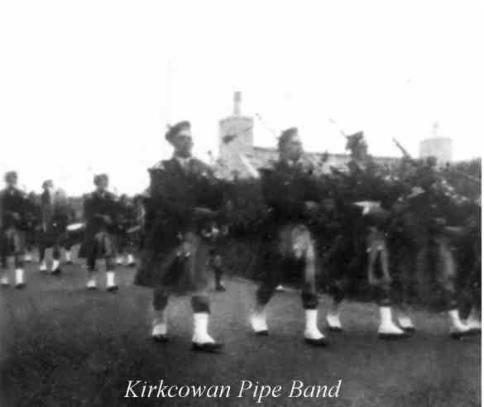 KIRKCOWAN PIPE BAND - Probably Kirkcowan but where and when ? 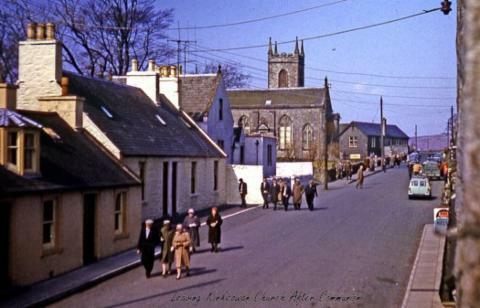 Front Row L to R Hutton McKie, Sandy Stewart, Jim Hyslop jnr, Willie McAuley. 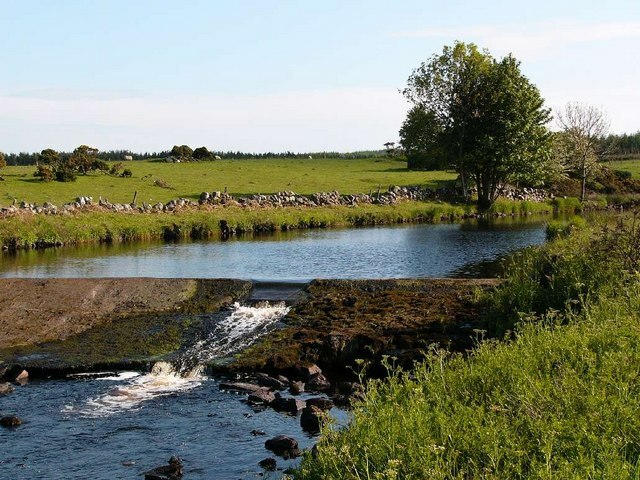 THOMAS'S DAM was built to supply Tarff Woollen Mill with water. 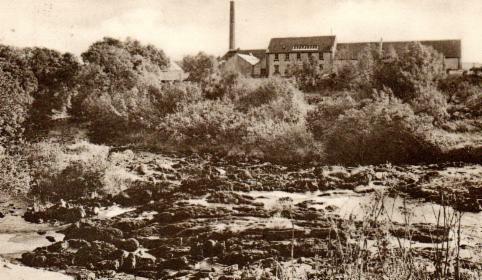 Tarff Mill was bought by the Milroy family, subsequently closed and the machinery transferred to their new mill in Newton Stewart. 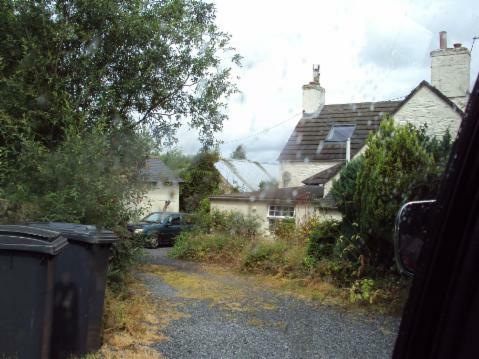 The two trees in the following photos were planted to commemorate the Battle of Waterloo. Only one remains today. 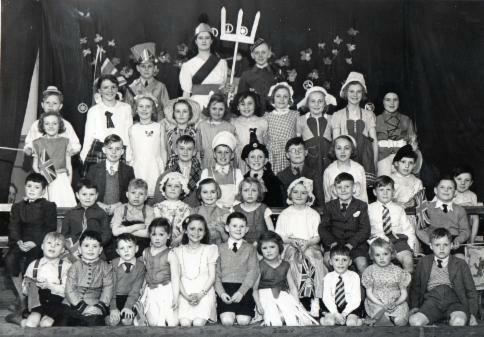 If you have any more photos - please send them in.